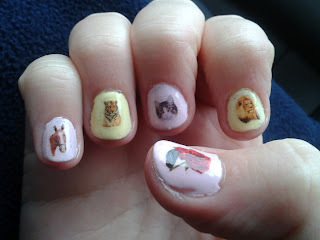 I have previously blogged about JanChristie Nail Art Stickers. They provide a wide range of stickers, at a really low cost (£1.80 for 24 stickers!!) and they can make personalised nail art stickers too, which i have blogged about previously as well. Butterfly, snarling tiger, blue periwinkle flower, husky dog and a robin. 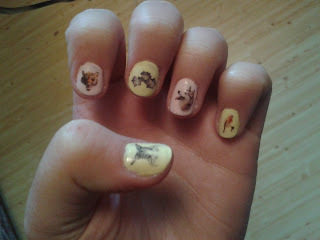 chestnut horse, tiger, cat, lion and rose.